Back to the Land. Urban communes. Sustainable cooperatives. Thirty years ago, alternative communities swept the nation. Today, with sustainability, peak oil and retirement concerns, people of all ages are reviving and expanding notions of cooperative living as new communities form and thrive. 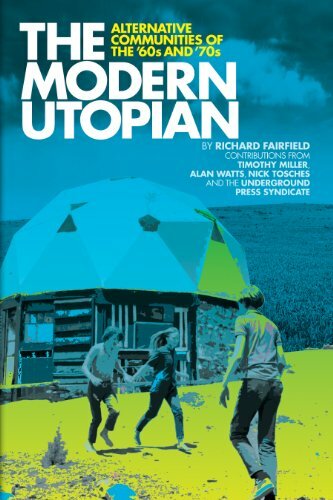 The Modern Utopian is the definitive exploration of the alternative communities that fascinated a nation and redefined progressive culture in the 60s and 70s, documented by those who knew it and lived it. This photo-illustrated compilation of articles visits the fabled Drop City, Morningstar Ranch, Timothy Leary at Millbrook, Detroit’s Translove Energies, the still-thriving Twin Oaks and Stephen Gaskin’s Farm, and dozens of other across the nation.